One to one Yoga sessions are a great way to communicate clearly between teacher and student. A session allows the student time, space and the privacy to relate any concerns, particular interests they have or would like to approach through their Yoga practice. For the teacher it’s an opportunity to look closely at how the student is working with their Yoga practice. A one to one allows time for the teacher to assess what is needed. To help refine and guide them towards more helpful ways of approaching asanas, movements and techniques. Therefore benefitting the student by checking any bad habits that may have developed and point instead in the right direction. Suitable for all students of any level. Whether you have your own regular practice at home and just want to check in for guidance or inspiration. Or if you regularly join a class but require more attention. For the complete beginner a one to one Yoga session can be a great way for you to begin bringing Yoga into your life. This can give the confidence needed to start a home practice. Or as preparation for joining a class you can then check in periodically if you would like to confirm your practice is developing in the right way. I have helped a number of people find the confidence to move freely again and overcome chronic pain. Read More. Look forward to working with you…. Erling’s natural yoga approach can enable you to fully experience yourself during your yoga practice. Because we focus on how we feel, the sensations in all our movements, our neurological map is revealed to us. How well we move in yoga postures or asana depends on it. Classical yoga tends to make the asana the final objective because it has an end purpose. Scaravelli yoga takes a more pragmatic and anatomical approach. Vanda Scaravelli pioneered this way and inspired many yoga teachers to follow her. She thought that gravity played its part and encouraged students to let go and go with it. Feeling is essential in Erling’s natural yoga approach. Noticing the sensations the central nervous system provide you. Listening provides the framework to how you respond to sensory input. We work the lines of support your bones provide. This structure supports the fluid body and when don’t have to use the bigger external muscles less they release and relax. And it is when there is less tension that you find more movement, your spine is able to move more freely. Freedom has always been the goal in yoga. Seniors yoga classes with Erling are specific to encourage students to gain control of their functional movements that are key to good health and continued wellbeing in any stage of life but particularly later life. Starting now will enable you to fully enjoy untold benefits and help keep you moving without pain. You don’t need to be able to touch your toes to do yoga and you don’t need to be young. Far from it in fact. Yoga can be practiced by anyone regardless of their age, physical abilities and body or health conditions. 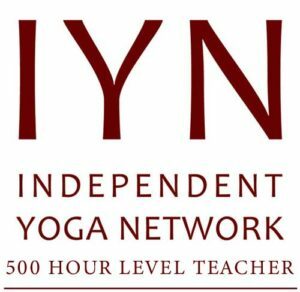 I draw on all my 20 years teaching yoga to deliver a safe yoga practice. Read what my students say! Its easy to start book now.